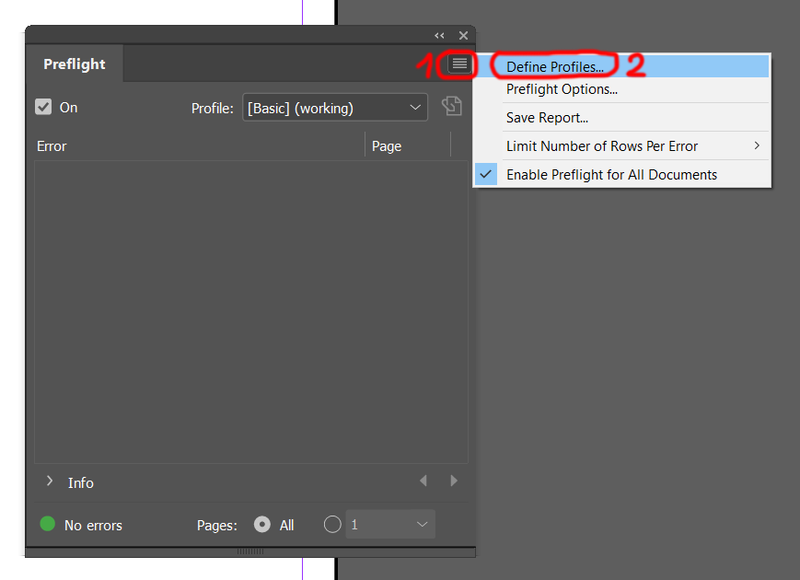 InDesign Preflight tool allows to check if the Document meets the requirements of the printing house. It finds mistakes the designer made and specify the place in Document. Preflight tool helps the designer to find mistakes himself and correct them before sending the Document to the printing house. This lets to shorten prepress processes in the printing house, because no further corrections are necessary. 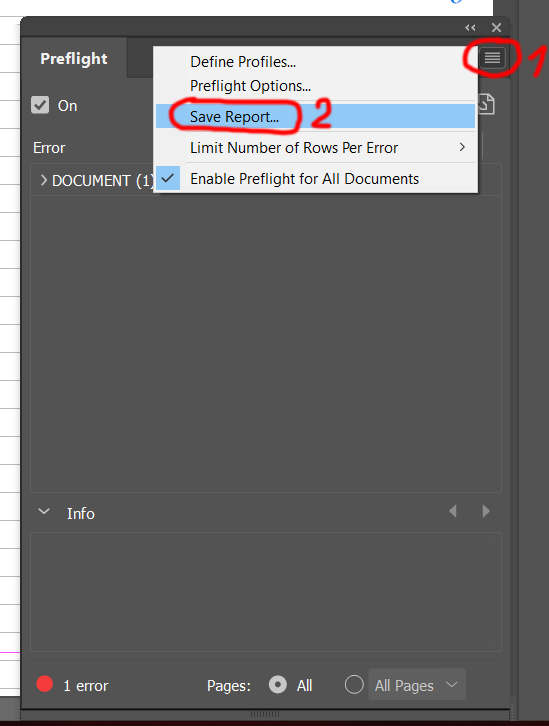 We highly recommend to use Preflight before exporting the Document to the PDF. Shortcut combination Ctrl + Alt + Shift + F.
Preflight settings can be configured to define which conditions are detected. These Preflight settings are stored in Preflight profiles. The profile can be chosen in box Profile. BALTO_print_Black_1_Pantone - for black and white printing plus one Pantone color (generally duplex (Duotone) printing). To define a new profile please press + (plus) in the pop-up window. Loaded profile appears in the profile list window on the left. 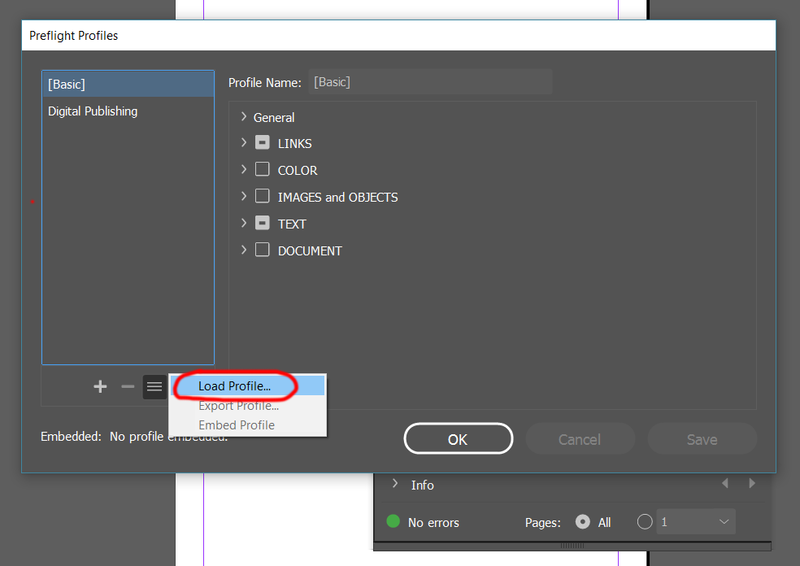 In order to load more profiles, follow the same steps again. After all profiles are loaded, press OK and Preflight Profiles window will be closed. Now you can use any of loaded profile. 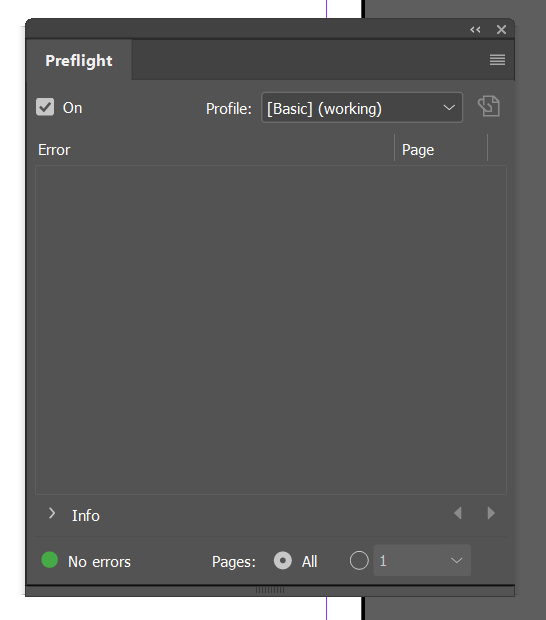 To turn on preflighting for the active document, select On option in the upper-left corner of the Preflight panel and choose the profile. If the document contains a lot of images, preflighting can take some time. While preflight is running, you will see note Checking on the down left corner of window. - red light, number of errors and errors list. Errors are grouped according to type. After expanding the group you will see the errors with page number of it. 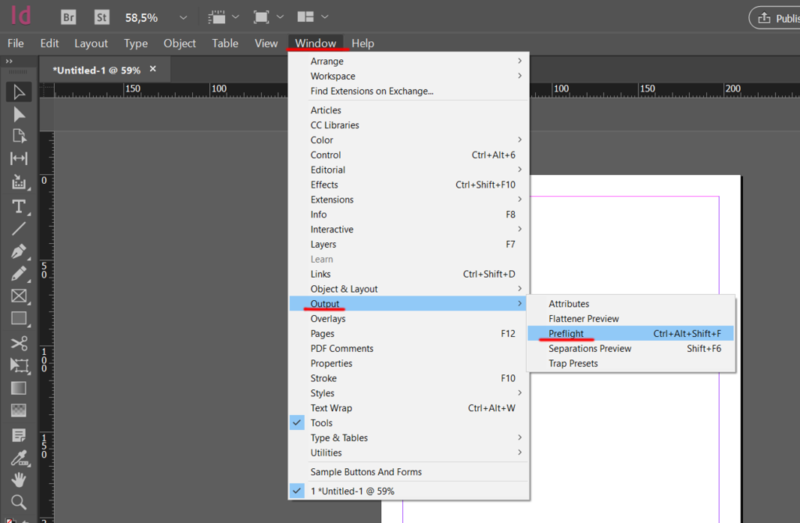 If you click the error, InDesign will open that page and mark the object which contains the error. 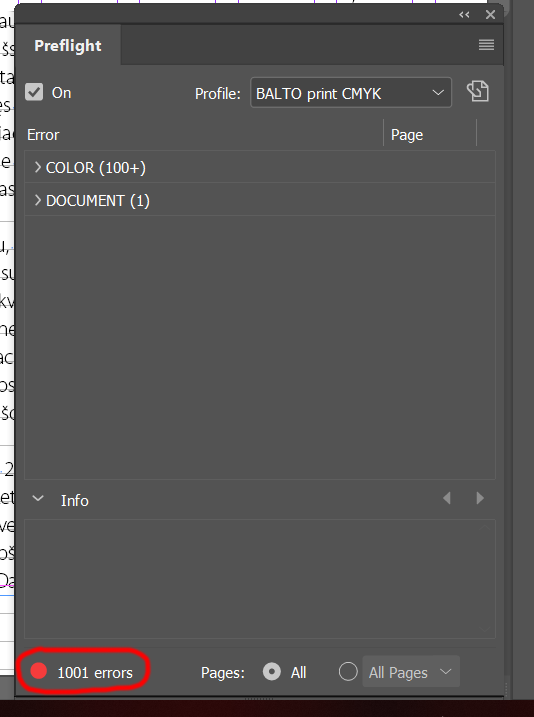 If you do not know how to fix the error, you can save error report in PDF and send it to repro@baltoprint.com.